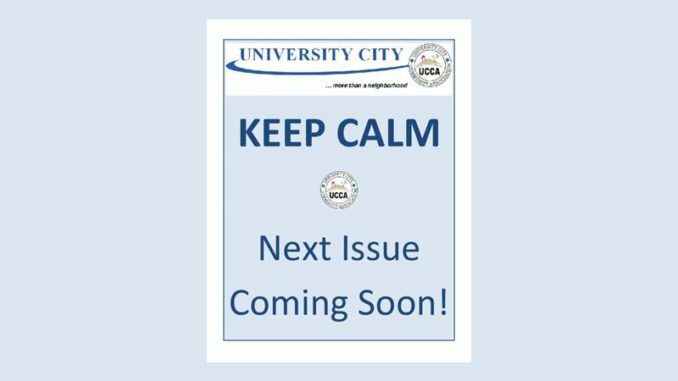 UCCA is delaying the publication date of the next issue of our University City UCCA Newsletter by one week. The new distribution dates will be May 3 to May 6 (the first weekend of May). Print newsletters will be available at the Library and Recreation Center on Governor Drive on the afternoon of Thursday May 3. Regular distribution and delivery by our UCCA volunteers will take place during the first weekend of May. As you may have read in our April issue, the high pressure sewer line (Pure Water) was approved by the City Council to run through Clairemont and University Cith. We want to include the most current information in our next issue. Thanks for your patience regarding this delay.